US citizens do not need a visa for tourist or business travel to this country, for a stay of less than 90 days. A passport with at least 6 months validity remaining is required. Any US citizen who wishes to travel to Ireland for any purpose other than tourism or business negotiations (e.g. work, study, adoption, immigration, or stays longer than the stipulated 90 days in the entry requirements) should contact our office. A valid, signed US passport. 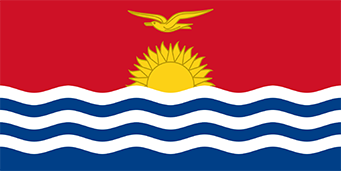 The passport must have at least 6 months remaining after the completion of your stay in Kiribati, and contain at least one blank visa page. Original US Alien Registration Card (Green Card) or valid US visa stamped in passport with original I-94 Card. A valid, signed US passport. The passport must have at least 6 months remaining after the completion of your stay in Kiribati , and contain at least one blank visa page. If you do not have time to stop over in Honolulu to obtain your visa from the Consulate of Kiribati, you may enclose a completed visa application form along with a photocopy of the informational page of your passport and mail it to the address above. Be careful to adjust the photocopy machine in order to make a clear and recognizable copy of your photograph. The visa will be stamped on the photocopy page and returned to you by US Postal Service first-class mail. You must then fold the visa paper and attach it securely to a visa page in your passport with the visa stamp facing outward. This “visa paper” is issued in lieu of a requirement to send your passport with the application, and the visa page must remain attached to the passport. US Official and Diplomatic passport holders must submit a letter from the sending department or agency, explaining the purpose of the travel and dates of the intended visit.